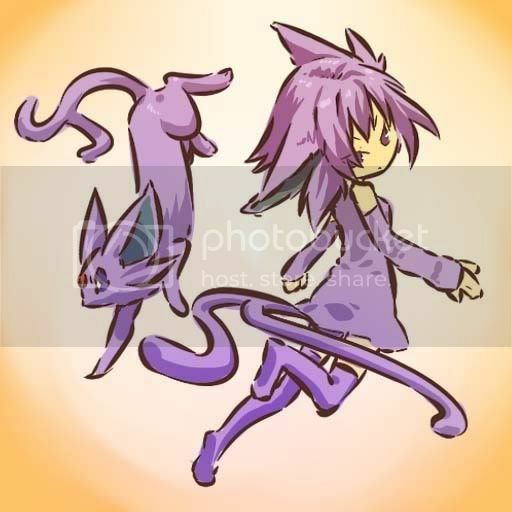 "Pokemon Trainer + Leaf Ninja + Duelist + Tamer + Mew Mew + Bakugan Brawler = Sapphirea ^-^"
I am moving my story from TsunaKaka so this is however my second user. You may still add me if you please, but only my story and a select few pics will be posted on this page. So please before adding this page add my first one!! Thanx so much! Irova:Mom we have to go! Irova:I told u....today I get to get my first Pokemon! Drew:Why are u here Sapphirea? Oak:Well Sapphirea.....how is ur Eevee? Drew:*is behind us* Hey are u 2 entering the contest? Drew:What Pokemon are u useing Sapphirea? 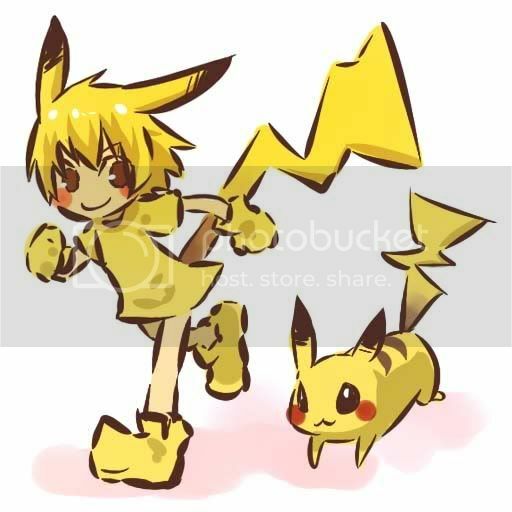 Sally(contest lady person):Today at Jubilife city we are having a Pokemon contest! Drew:*walks back to where we are* Well how was it? Tsunade:Why are u and ur sister in ANOTHER contest?! Sally:Well these are the people who made it! Me:Cool ^-^ Wait I have to fight Drew?! Drew:I have to fight Sapphirea? Sally:Will our finalests please come out? Sally:This battle has been going for the past....*looks at clock* 4 mins....Who will win? Irova:Did u 2 plan to end in a draw? Irova:U guys did didnt u! Irova:How long did u 2 plan it? Me:lol...Well where u off to now Drew? Irova:U could come with us! Drew:Really? Would that be ok? Irova:*gives me that Im not stupid look* What?! Me and Drew:We can walk u know! Me:I cant stand Harley u know that? Drew:Why are we up here? Harley:*walks up there* What are u 2 doing up here? Me:*takes Torchic* Leave me alone Harley! Me and Drew:What do u mean by that?! Me and Drew:No really what?! Me:Uh not again.....*stops hugging and anwsers phone* Hello? Me:*whispers to Irova* Its Paul....wanna talk to him? Me:Hi Paul ^-^ Um my sis wants to talk is that ok? Me:Ok ^-^ Sis we'll be outside battleing ok? 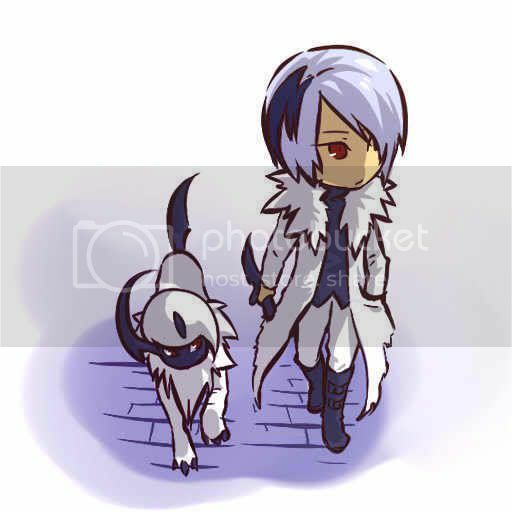 Me:Wow u have an Absol?! Irova:*coughs* Ok thats why right? Me:Just go back to the Pokemon Center! Me:I guess it would have been a tie at the contest too right Drew? Me:Chikareta what are u doing? Drew:Did u teach it to hurt him? Irova:Are we going to Veilstone City or not?! Me:This isnt working is it? Mart Guy:Hi ^-^ What are u 3 looking for? Me:Uhhhhhhh ur kiding me right? Drew:Hey whens the next contest anyways? Me:Irova what will u dress up as? Me:Aw come on show us! Drew:Why are we doing this? Irova:Can we get back to our adventure? Me:Come on Ash show us! Ash:Your going to get us all to right? Me:Come on Paul show us! Ikari:What were u guys doing earler? Me:We do to maney random things and forget what we came for! Me:-_-' Ikari wasnt that a stupid question? Irova:Come on we're almost there guys! Ash:Dont vikings mostly live in Minasota(sp?)? Irova:Cool! Sis did u and Ikari come here to learn to dule? Yugi:Where have u 2 been? Me:*stops hugging Yugi* Hey wheres the others? Me:Did he git Joey too? 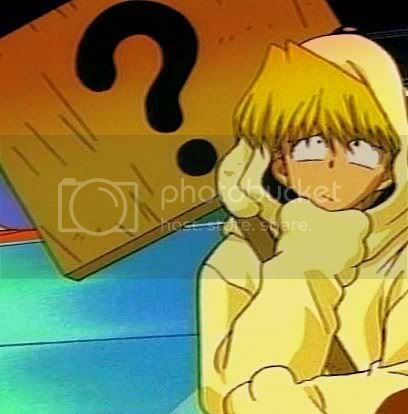 Joey,Me,and Ikari:Yugi did u REALLY pay atention during class?! Me:What Dorm? Slifer Red or Ra Yellow? Joey:So this is a dorm....do they all look like this? Me and Ikari:Come on Joey! Joey:Who do u have a crush on? Ikari:*hits Jaden and Joey* Sapphirea truth or dare? Me:Can we go back to Sinnoh? Ikari:That ok with u guys? Joey,Drew,and Irova:How did that happen!? 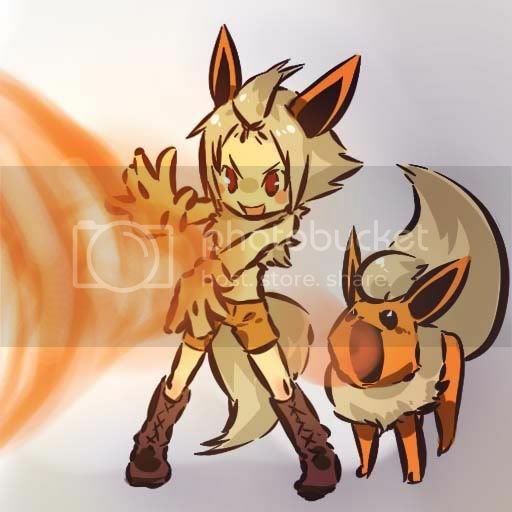 Ikari:Hey Sapphirea do u still have an Eevee? Joey:Can I quit being a puppy now? Me:What first on the list of things to help Joey? Joey:Well wheres this Iruka guy? Joey:Why do people call u Sensei? Ikari:Where u going to live? Me:*gives Ikari a crazy look* What!? Me:No! Up now or we're all going to be late! Me:*hits him on the head* Go get ready! Login or register to add Sapphirea as your friend!